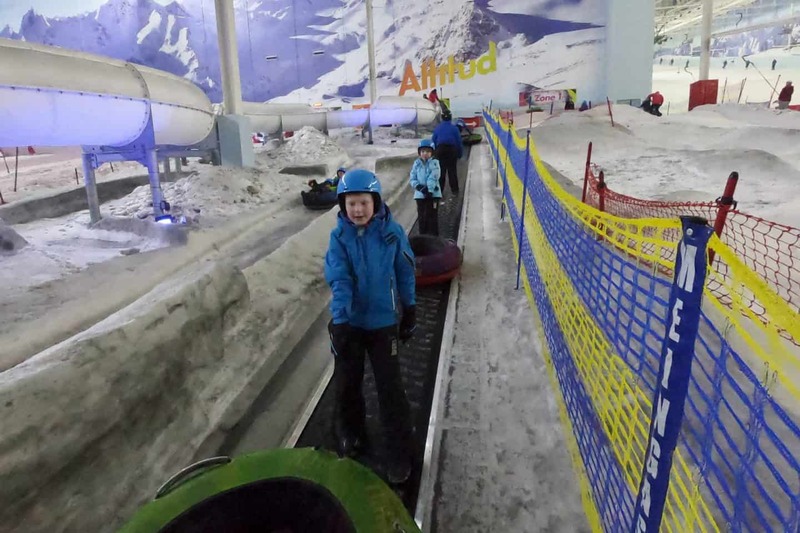 Sitting at the side of the M60, within spitting distance of the Trafford Centre, is an enormous sloped building which, for the last ten years or so, has been called Chill Factore. 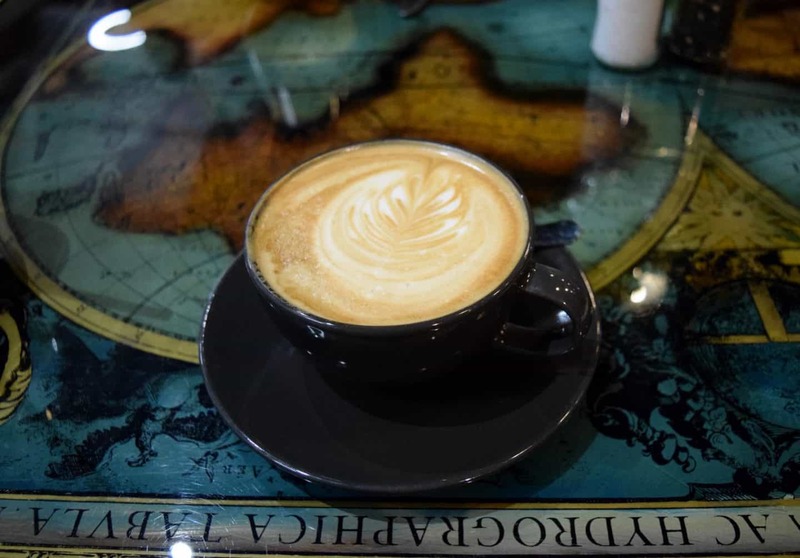 However, it has recently undergone a bit of a re-brand and is now called BEYOND. 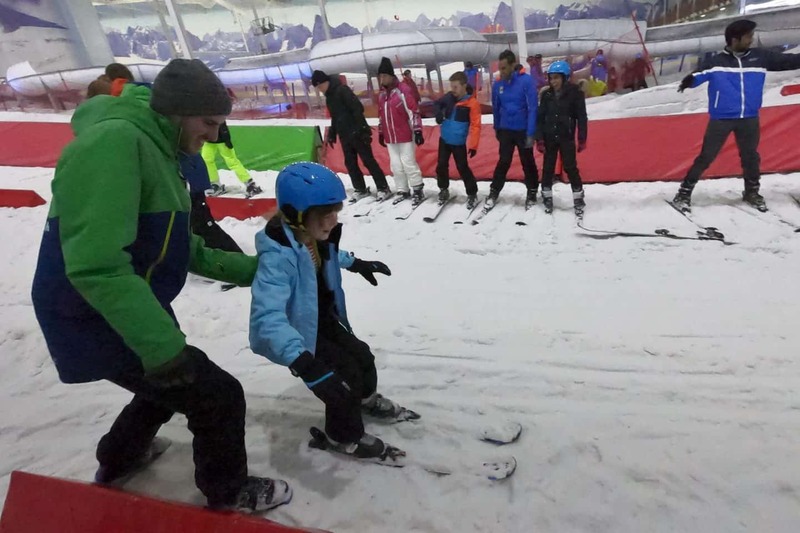 Don’t worry, Chill Factore is still there – but there’s a whole lot more to discover too at this family activity destination as we found out when we visited last Saturday. 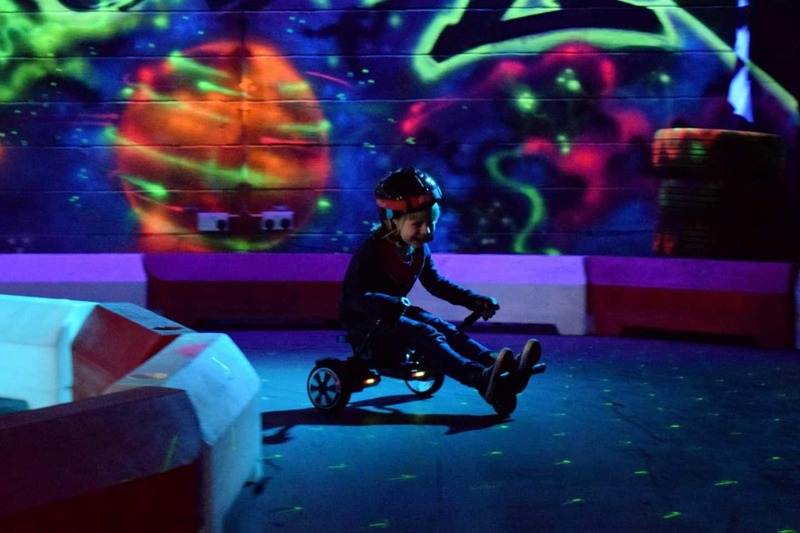 The racetrack at Hoverboard World is kids only! 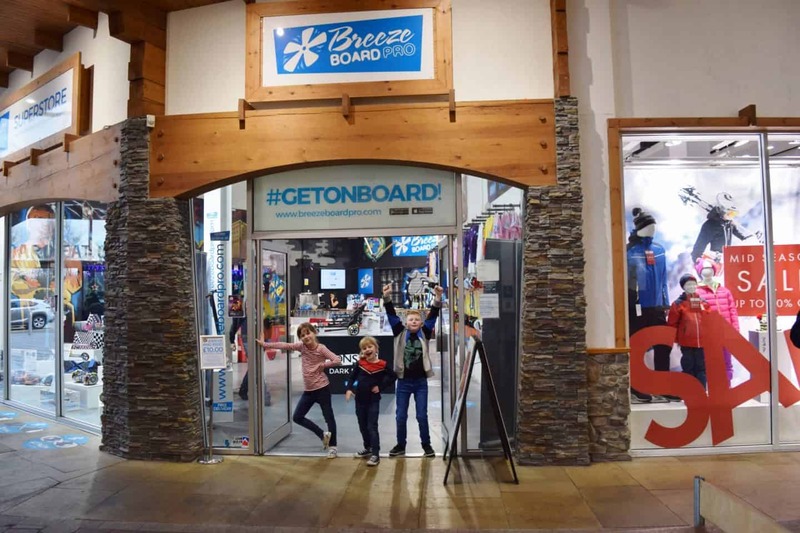 I knew that all three kids were going to love Hoverboard World (and if I’m honest Dave was itching to have a go too but the guys at Breezeboard Pro explained they had made the decision to keep the track kids only as the grown ups tend to get a bit over-competitive . . . who’d have thought it!) 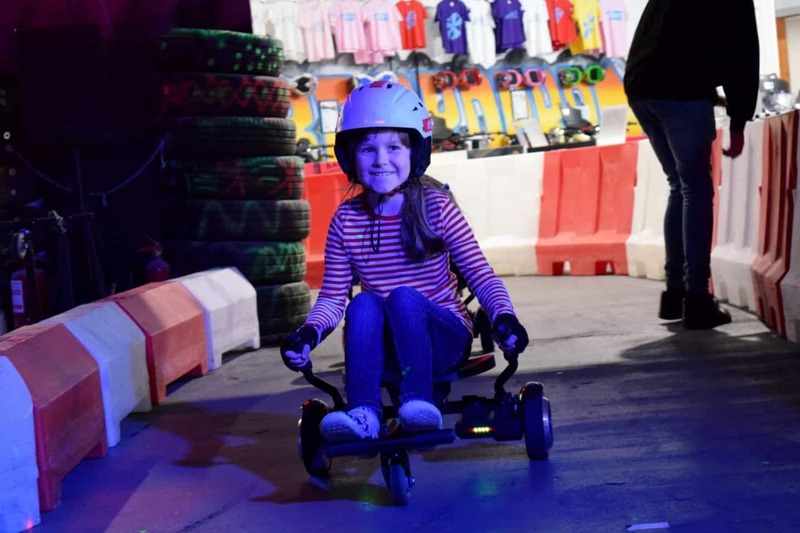 It’s amazing how quickly the kids picked up the skills needed to control their karts, and how quickly their confidence grew. 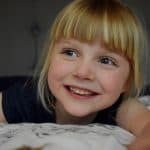 For the first minute or two Amy really struggled to get going and kept spinning round or crashing into things but in hardly any time at all she was racing around with the biggest smile on her face! Ben was practically skidding around corners by the end of his session! All three children said that Hoverboard World was the highlight of their day and they are all dying to go back. If you fancy giving it a go, booking is advisable at peak times as the track is super popular! 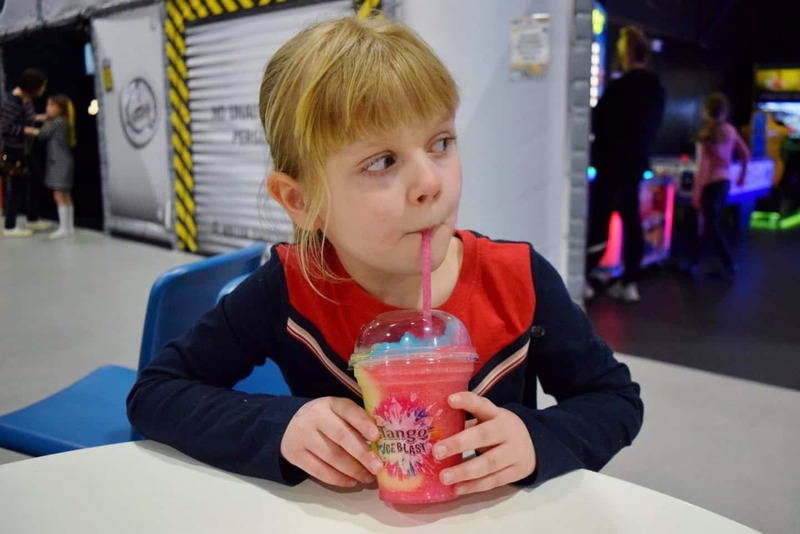 Play Factore is pitched as the “UK’s leading indoor family entertainment arena” – basically the biggest soft play I’ve ever seen in my life – and believe me I’ve been to a few in the last decade! 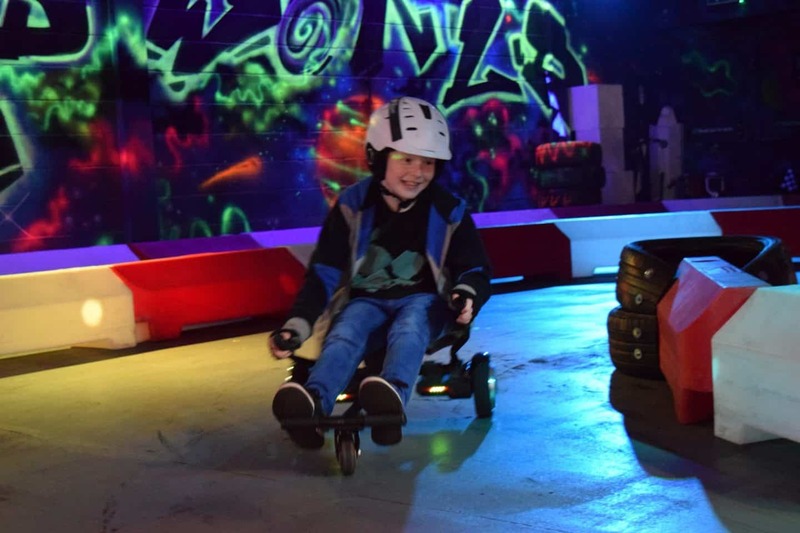 Play Factore is part of BEYOND but isn’t accessed through the main building – you need to go around the back of BEYOND (haha!) to get in! 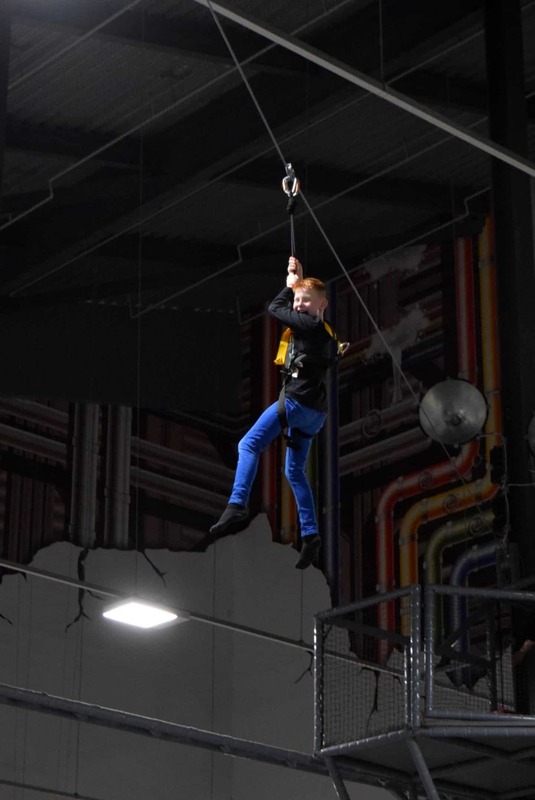 Despite living really locally, we’ve never actually been to Play Factore before and if I’m really honest the main reason for this has been cost – entry to Play Factore isn’t cheap with peak prices for children coming in at £12.95 plus an additional charge of £3.95 for adults. At peak times play is limited to 2.5 hours and you are charged for the extra time if you out stay your initial limit. 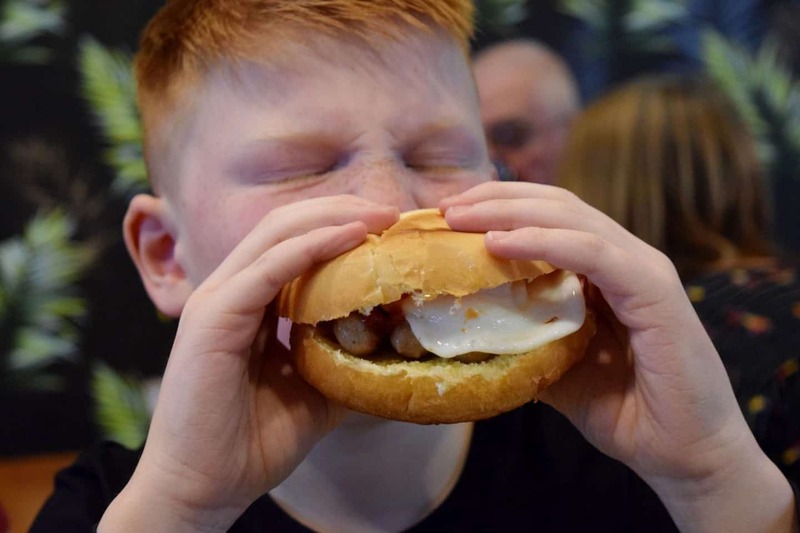 I do resent having to pay an entry fee to any soft play as an adult – it’s not as if I’m choosing to be there so I can play on all the equipment is it! That aside, if you do have younger children or are able to visit during off-peak hours, the entry charges are much easier to swallow! 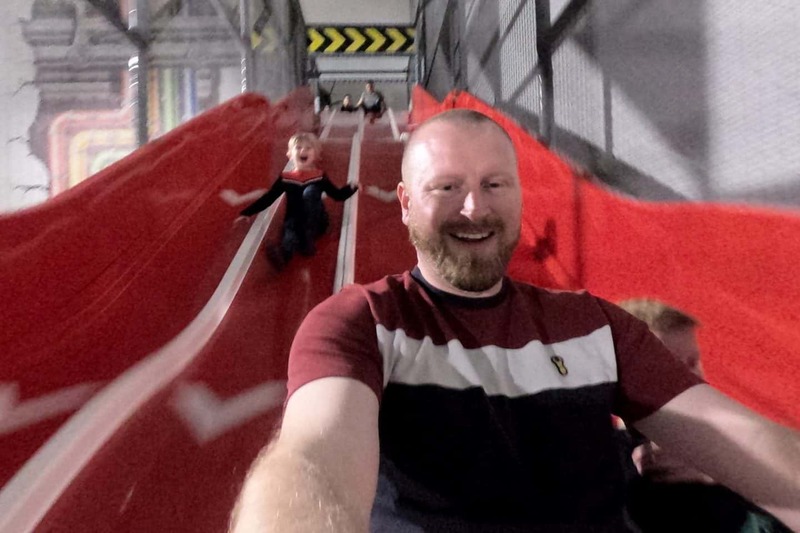 In the last year or two I’ve found that my oldest two are not really bothered by indoor play centres anymore – they quickly get bored and I end up feeling I’ve wasted my money. 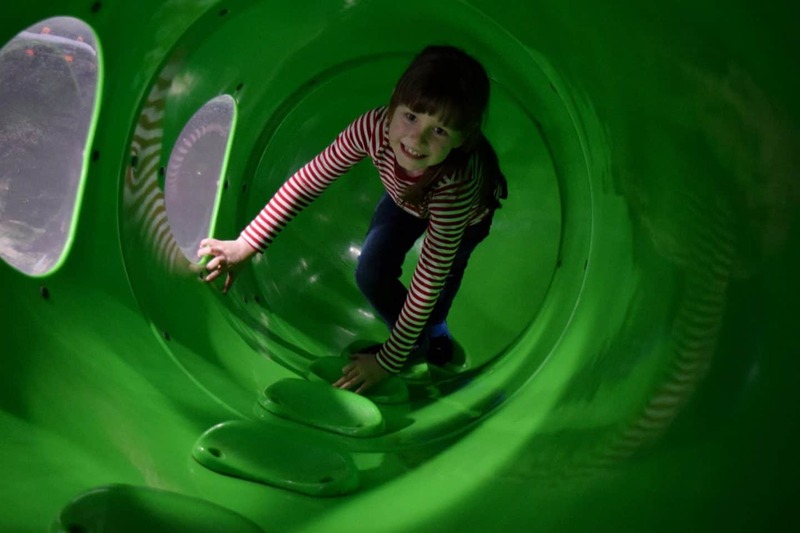 This really wasn’t the case at Play Factore – there’s just so much to do and explore including; a state of the art giant play frame, interactive toddler area, laser tag arena and electric go karts – and this is all included in the entrance fee. At this point you start to realise why that ticket price is higher than your average play centre . . . Despite visiting at a really busy time (mid-morning on a Saturday), Dave and I were easily able to find a table to sit at so that we had a “base” for the children to return to. The range of food on offer looked delicious particularly the handmade pizzas, however we had lunch plans elsewhere so Dave had a coffee and I joined the kids in enjoying an Ice Blast! 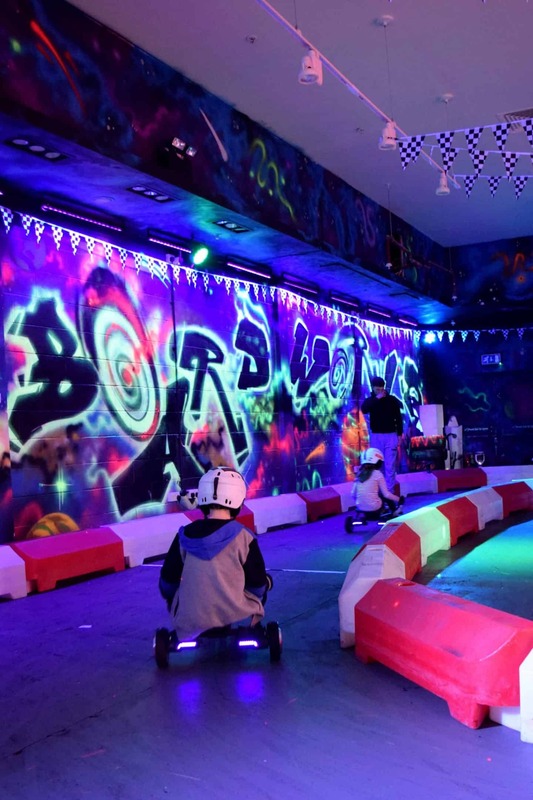 So whilst I do think Play Factore is a pretty expensive way to spend a few hours – it isn’t your average soft play and you do get a lot for your money so it’s certainly a great way to let the kids run off some steam on a rainy Saturday morning! 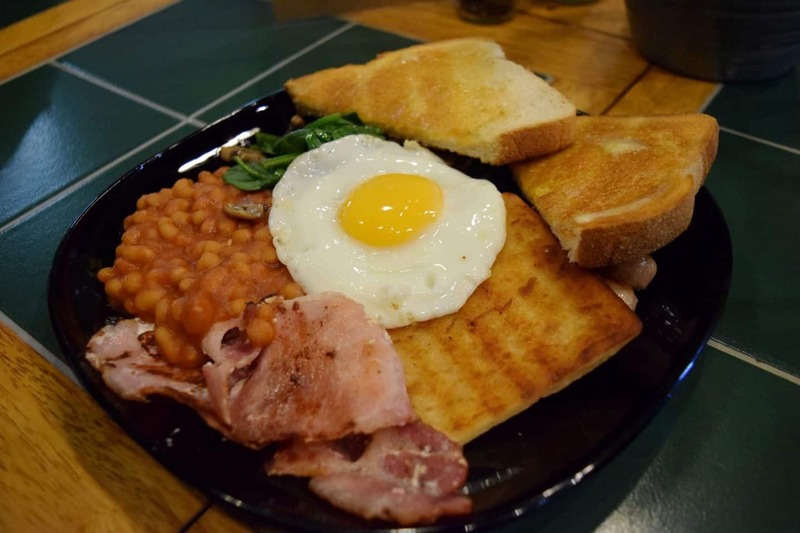 The Lift Up Cafe is an independent gem and well worth dropping in for an après ski snack! 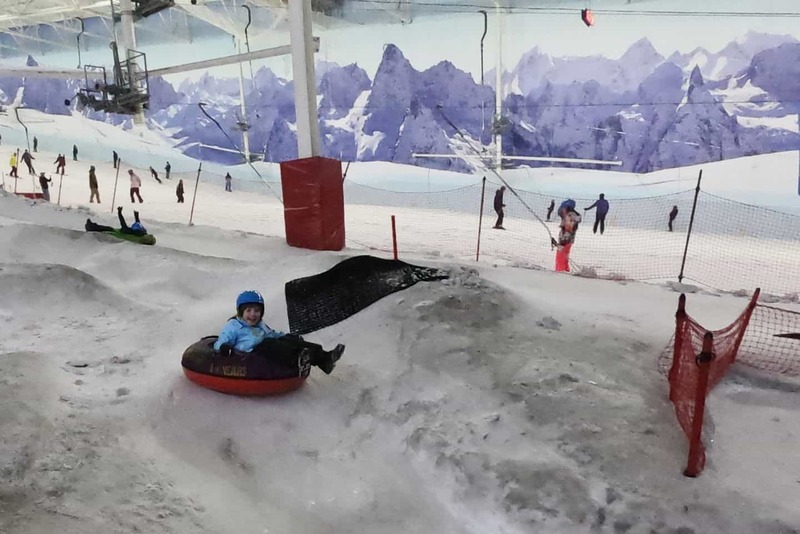 Chill Factore is home to the UK’s largest indoor ski slope and definitely worth checking out if you’re looking for fun things to do in Manchester! 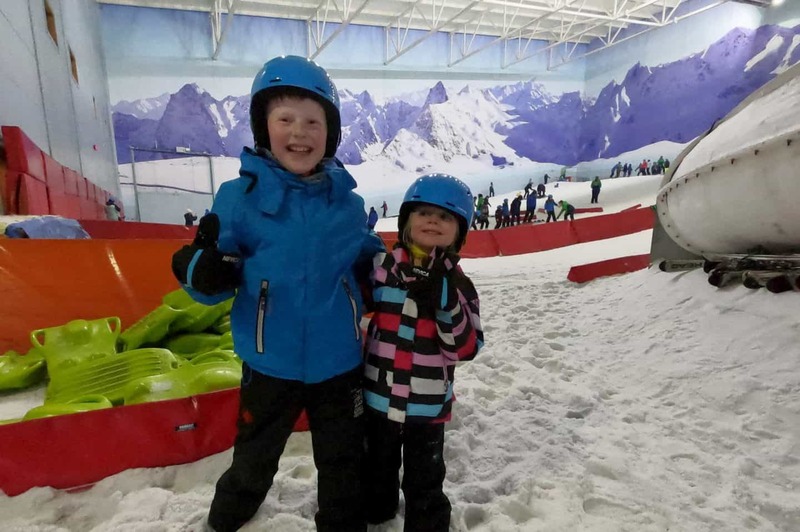 We’ve visited Chill Factore a few times over the years – on our most recent visit, Ben and Chloe played in the Snow Park with Dave and Uncle Chris, whilst Amy and I enjoyed a hot chocolate with Aunty Custard. Amy was too small for the snow park at the time and we had promised her we would take her back when she was big enough so she was super excited! Entry to the Snow Park doesn’t include equipment hire and whilst you can hire pretty much everything you need at Chill Factore (and what you can’t hire you can buy), hiring isn’t cheap so I would fully recommend taking what you’ve got and then just hiring what you need! All three kids have Reima coats which are perfect for playing in the snow but we all needed boots and trousers, and Dave and I needed jackets too (this totalled almost £50 so would add quite a significant chunk onto the cost of your experience!) Because the adult gear is unisex and as such not cut for hips / bums / tums – I really struggled with the trousers and, after trying a few pairs on, I gave up and just wore my leggings with a coat. Thankfully I wasn’t cold and only just had a a bit of a damp bum by the end of our session! I can’t stress how important it is to leave plenty of time to get ready. 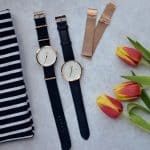 No matter how long you think it might take to get dressed and sorted, double it! We had about 15 mins planned for us to get everyone dressed and ready for the snow. It took us nearly 45! Now admittedly a good chunk of this was spent faffing about deciding what we needed to hire and in what sizes – but getting five of us dressed in full winter gear is never going to be a quick job! We ended up missing about half of our allocated Snow Park time which was super disappointing. Thanks to us being super late to the snow, we somehow missed having a safety briefing. We showed our tickets and were allowed into the Snow Park but only realised after we’d been playing for ten minutes that we should have had a talk before our session. Luckily, everything was pretty self explanatory and we didn’t have any problems bar me trying to take Amy on a ride she wasn’t old enough for – luckily there were staff manning the top of the ride who were able to advise me of that! 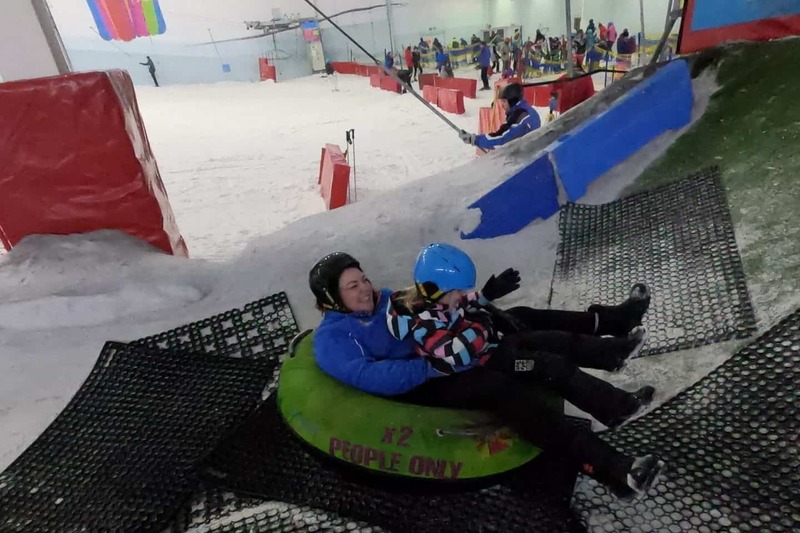 For all Chloe is generally not much of a thrill seeker, she loves the Snow Park at Chill Factore. I think it’s probably “just enough” for her – it’s fast and exciting but without the fear she gets on rollercoasters or big covered water slides. 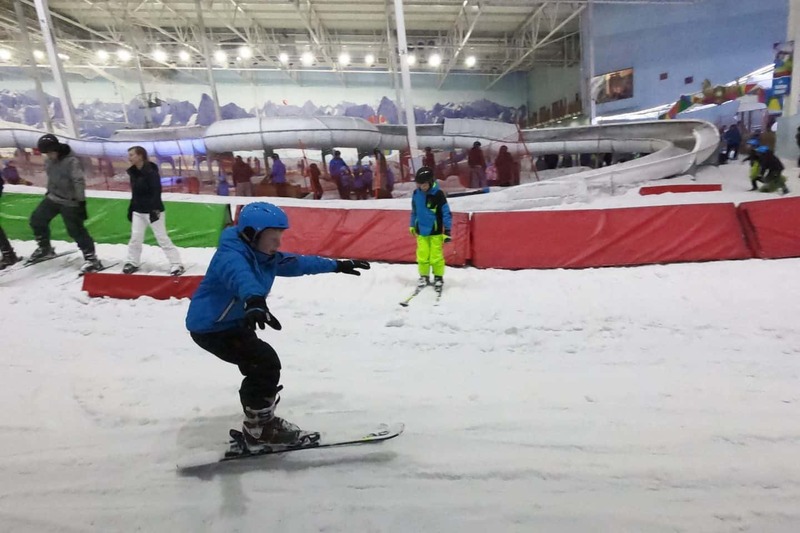 Ben and Chloe were perfectly capable of playing independently in the Snow Park, taking themselves off on each of the activities and just letting us know where they were. They were able to get their own donut / sledge / board to the top and negotiate the ride down safely which meant Dave and I were able to concentrate on Amy and trying to take a few photographs! Our time in the Snow Park was over all too quickly (not least because we had cut it short by not being ready fast enough!) so Amy and I took ourselves off to get changed, leaving the big two with Dave to prepare for their ski lessons. The ski taster lessons started with picking up our gear. As we’d already been in the snow play area we already had our jackets and trousers so just needed skis and boots. To ensure you get the correct ski size you stand on a scale which measures your weight, height and shoe size before asking you your ski speed. I picked slow (I was not wrong). Putting the boots on the kids was a struggle. Ski boots, if you’ve never worn them, are big bulky beasts that require a significant amount of force to pull them on. Ben and Chloe struggled with that meaning I had to wrestle them on and fasten them before putting my own on. Once on, the boots force you to stand with your weight leaning forward. I found I walked like Robocop once they were fastened. Our group was 10 people to an instructor. 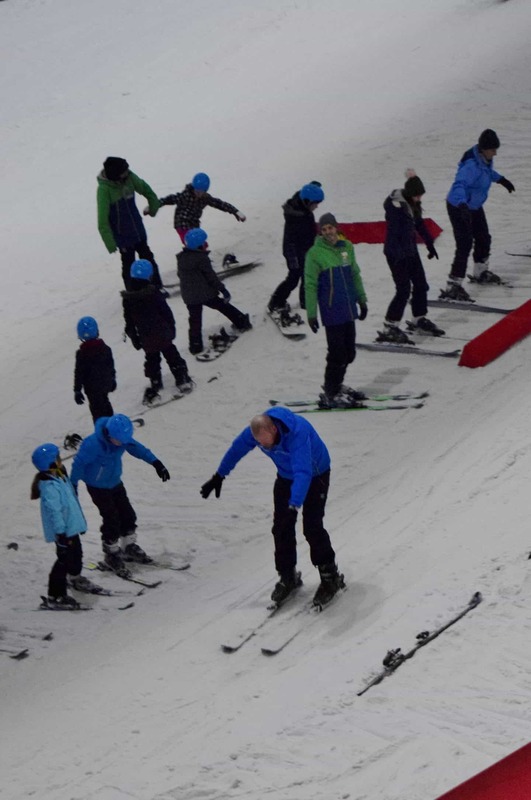 He quickly showed us how to get our skis on and how to walk up the slope with our skis across the downwards slope. Our turns involved slowly moving out of line and skiing, albeit slowly, down the slope. The instructor slowly increased the difficulty by having you move your feet backwards and forwards whilst moving or jumping. Unsurprisingly the kids picked this up far quicker than me, with Ben taking to the activity like a penguin to snow (a colder version of a duck to water). Chloe did really well as well, only really falling over whilst walking not while skiing. I had two falls, once whilst on a jumping run and trying to avoid a fellow skier and once right at the end while trying to snowplough to a stop. All in all it was a really fun lesson and everyone in our group was laughing and seemed to be enjoying themselves. As soon as we were off the snow Ben asked if we could go again which is always a good sign. 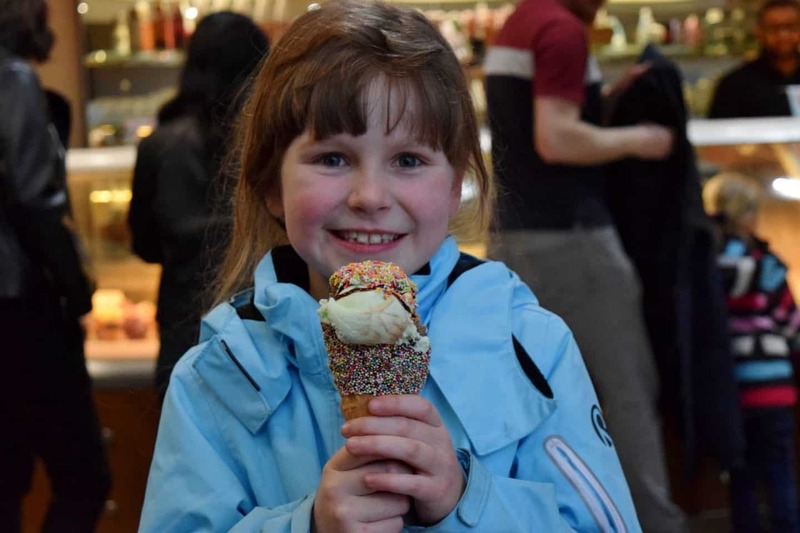 What better way to end any adventure than with an ice cream! 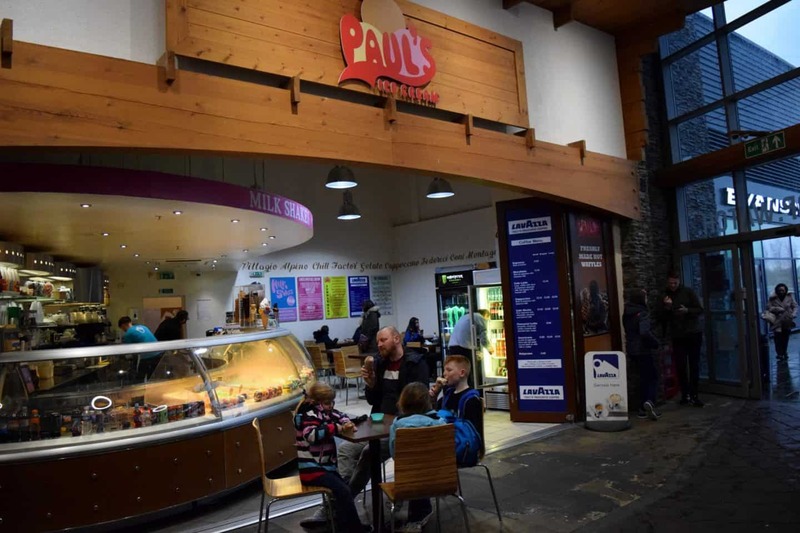 You’ll find Paul’s Ice Cream on your way out of BEYOND, tempting you in with a plethora of brightly coloured ice creams and more sprinkles than you can shake a stick at! 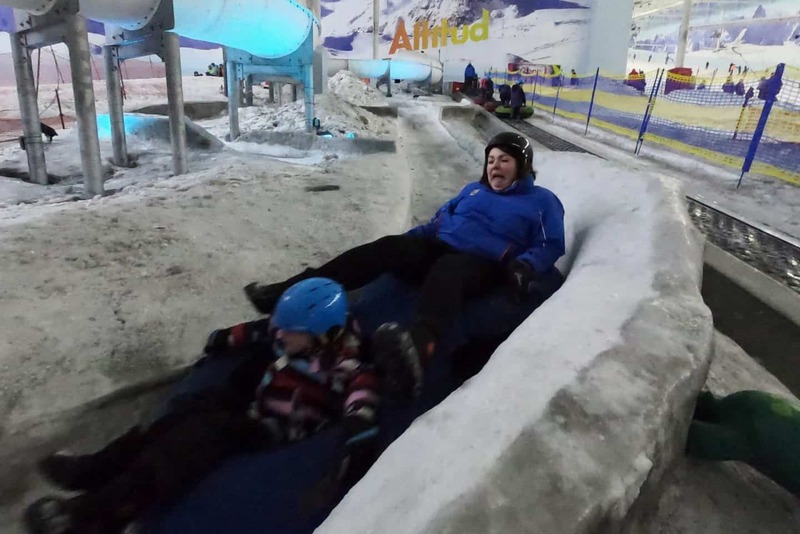 BEYOND is so much more than Chill Factore and well worth planning in a visit if you’re looking for things to do in the Manchester area – particularly if you want to be doing something active as a family when the weather is rubbish! Ben is super keen to go back and try iFly next! We were invited to experience everything BEYOND has to offer, free of charge for the purpose of review. All thoughts and opinions remain our own. This looks amazing. My best friend is in Manchester so i reckon we might go when her ekdest is over 6. 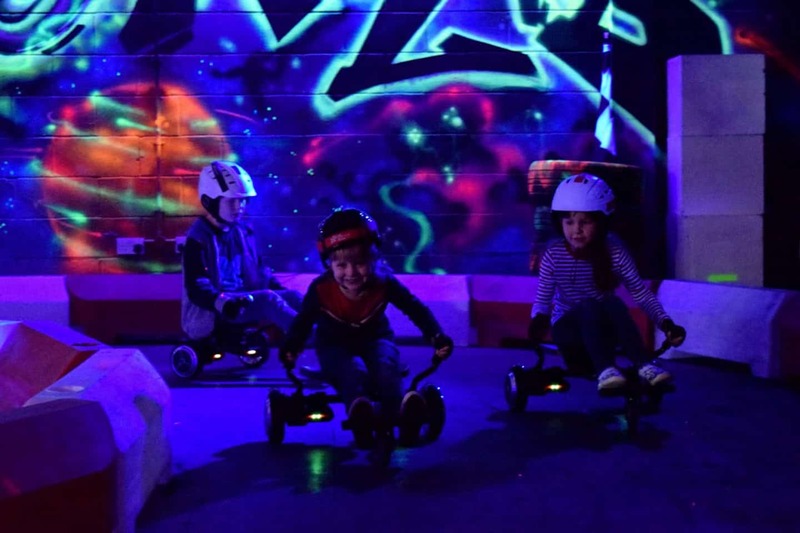 Play Factore looks like fun, we’ve been wondering whether or not to give it a try. This looks absolutely fantastic, I think Olly would love a day out here. I love your expression on your face on the photo, you look like you’re enjoying it!